IWAI operates on an entirely voluntary basis across the Island of Ireland and is dedicated to the enhancement and preservation of our extensive Inland Waterways network. 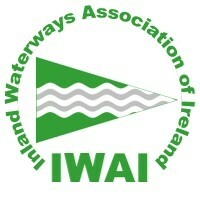 IWAI Dublin Branch, founded in 1964, is focussed on the Royal and Grand canals in the City as well as the navigable sections of the Liffey and Dodder. The group campaigns for the preservation of the historic Grand Canal Dock in Ringsend, an area subject to intensive development pressures in recent years. From IWAI’s perspective, the new Dodder Bridge has a particular significance as a future gateway linking the Liffey estuary with the inland waterway network via the historic sea locks that adjoin the new structure. Representatives of the Association attended the consultation Open Day in Ringsend in February and from discussions with the consulting engineers present we were persuaded of the importance of the new bridge in terms of facilitating the eastern residential expansion of the city. We were also satisfied that the design of the bridge would not present any significant obstacle to navigation on the Dodder and neither would it prevent or inhibit reasonable access to the Grand Canal Dock. In particular we note that the bridge design features an opening span, intended to facilitate access to Grand Canal Dock by masted vessels. In addition the design provides a minimum air draft or height clearance of 2.7m at MHWS. On this basis passage of barges and most inland waterways vessels will be accommodated at all times, subject to adequate depth of water in the immediate vicinity. We understand that dredging works around the mouth of the Dodder will be undertaken during the construction period which is something that we welcome. In this regard it is important from a navigation perspective that details of the new depth profile be disseminated widely among the local boating community. Also as an aid to navigation it would be helpful if physical water depth and air draft gauges were provided on the central pier of the new bridge and also at the entrance to the sea locks. A final concern from a boating perspective relates to the provision of a new pontoon at St Patrick’s Rowing club which is shown clearly in the plan. From time to time it will be necessary for masted vessels wishing to enter GCD to wait for a scheduled opening. Other vessels may need to wait for sufficient depth of water to be available. On this basis, and in the interests of convenience and safety, it would be highly desirable for the new floating pontoon to operate as a public facility and available to all users at all times. Representatives of IWAI would be available at any stage for discussion on the practical aspects of this proposal.